It’s all about expanding your knowledge about interiors and home design. Time to enjoy learning from the experts with a series of lectures on interior design. Already popular in 2016. Look out for further 2017 dates at The Royal College of Art on their website. Following on from the huge success of the series, the Interior Design department at the RCA has confirmed the Inside/Out public lecture programme for the next academic year.The talks feature international architects, designers, curators and writers who will discuss their own practice and dissect the role of interior design. Forthcoming speakers include Andrew Stevens from London-based design consultancy Graphic Thought Facility; French industrial designer matali crasset; Roberto Feo of post-disciplinary studio El Ultimo Grito; the director of London’s Design Museum, Deyan Sudjic; Alannah Western, former Creative Director of Selfridges and now Deputy Chairman of Selfridges Group; the leading British interior designer Ben Kelly; the visionary architect and designer Gaetano Pesce; the Senior Curator of Architecture and Design at the Museum of Modern Art Paolo Antonelli; Christophe Egret of architecture and urban design practice Studio Egret West; the renowned sculptor Richard Wentworth; and the architect David Chipperfield. We have all seen and fallen in love with the white monkey lights from Seletti, well now they come in black and for an extra addition they are suitable for outdoors. These are perfect for adding some fun to your garden and will get all your guests talking. Recent trends have seen flooring as an area of the home people are investing in more and more; looking for creative, original solutions for a statement look that is both current but adaptable to sit with various styles of interior designs as we change walls, textiles and furniture more often. 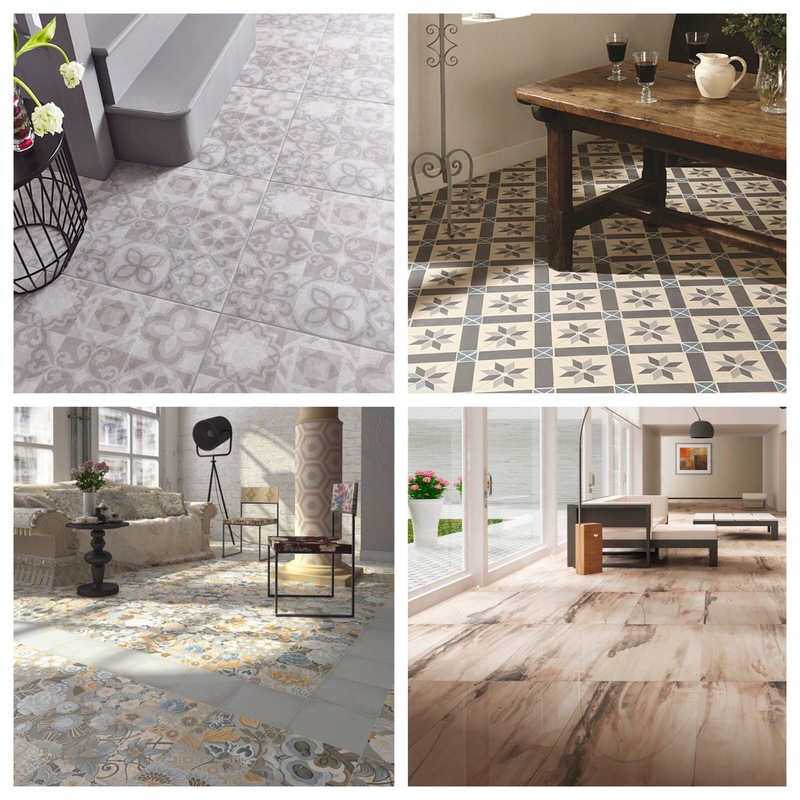 From dark woods to grey natural tones, to flexible resistant cork and wow-factor pattern ceramic tiles, across designer and high street brands there’s a lot to choose from. Focus is on hard wearing and durable finishes and an advantage is to have something that is partially replaceable if damaged – like a tile or plank to easily swap. Having spare of your chosen flooring is a must for just such reason – so having a little left over is not a bad thing. We love the recent designs of incorporating the look of texture and fabric within the finish of a tile – linens and silks working well. For child friendly and uber hardwearing yet still modern and on trend, we think cork and chipboard are great options especially if you’re on a budget. Both materials are easy to get hold of and simple to get a sample to lay a little just to get an idea of the look. 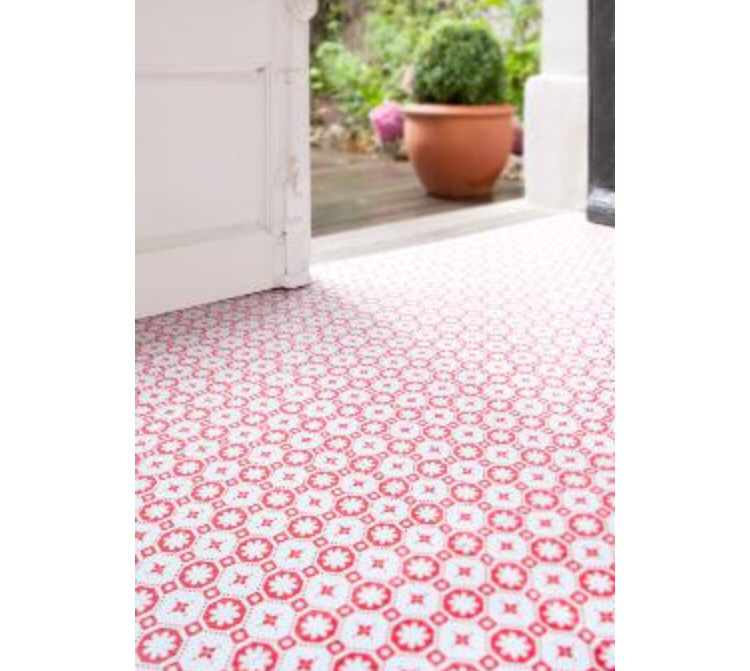 If you love the look of vintage or traditional patterned, tiles but the prices can be rather high it’s great to look into vinyl tile versions that look both incredible and very durable, plus underfoot feels warmer and safer. Zazous, Tiles Direct and Leader Floors have great options. Vinyl is also as the cheaper version easy and less costly to change in the future when tastes change. Modern vinyl has opened up the flooring market, with more and more finishes and patterns previously available only in other materials, now being replicated in vinyl – same look but cheaper. DIY favourite Homebase has a super new range of slate, porcelain and terrazzo look vinyl tiles that have a rich, textured finish but with the benefits of vinyl in warmth, durability and price. Hunt out bargains, read reviews and order lots of samples of buying off the internet to ensure you are aware of finish, quality and thickness. These fun baskets are easy to make and a perfect storage solution in an office space or kids bedroom. Made from a rag rug [ try ikea ] these baskets bring colour and texture to a space and also very practical, as they can pack flat when not in use. It’s great to search in unexpected places for bargains for the home. So by pass the cucumbers and washing detergent and head for the Tesco homeware department. We’ve had a look through their cushions range and were very impressed with both the low prices and great designs to suit many of the current interiors trends both for family and kid’s room designs. Prices from as little as £7 including inner. We love Desenio for its amazingly priced prints and frames. Their collection is always evolving and there is so much to choose from. Their latest new arrivals is a gorgeous collection of digital art including portraits, architecture, plants and more. Everything is fresh and brightly coloured with emphesis on green and pink; great colours to invest in this year. Cheap and cheerful? Is the quality less? 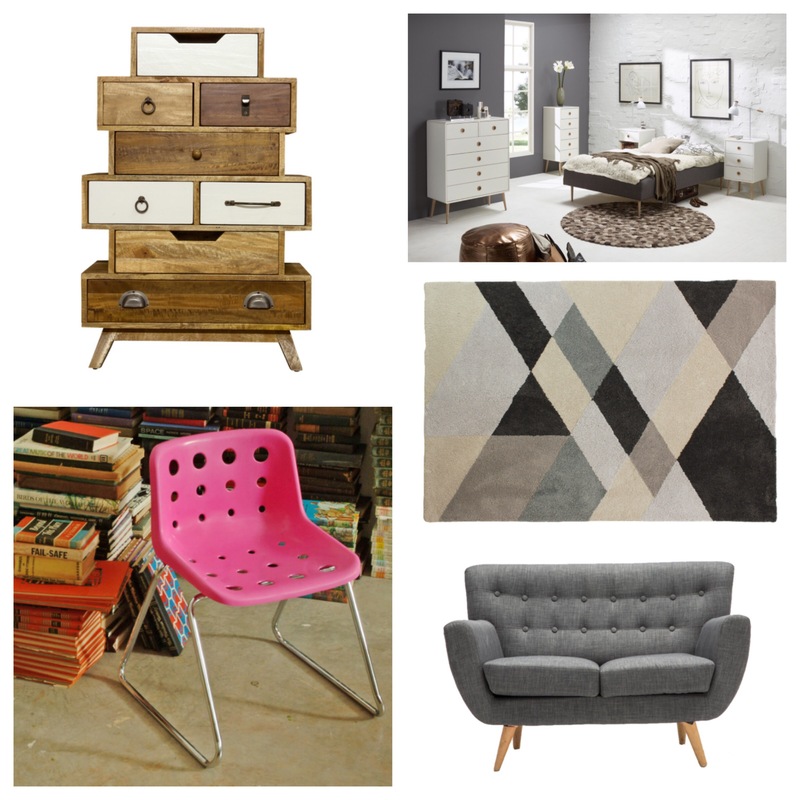 We were overwhelmed with the plethora and immense choice of great homeware and furniture at Matalan. Covering so many current trends with prices starting from a couple of pounds, you can fill your home and garden with textiles and ceramics, glassware and trinkets – from marble-look accessories to bohemian soft furnishings, plant hangers to metallic pieces – there’s so much to choose from. With their furniture you can create industrial, retro, midcentury or modern monochrome looks with quality and affordable prices – the current sale section is definitely worth chacking.